The long-predicted IoT revolution in healthcare apps is already here. 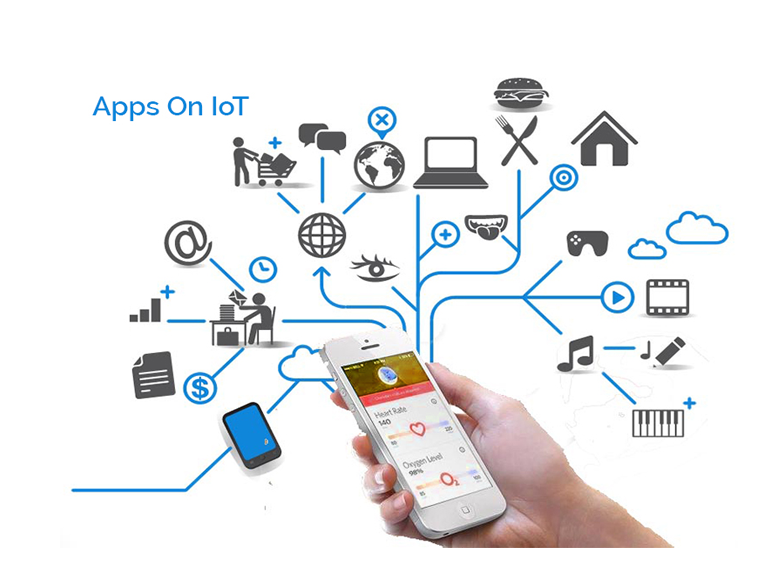 IoT is fast becoming building block of automation and machine-to-mobile communication. With the addition of the service layer the infrastructure for healthcare is complete. Large hospital based imaging systems can be joined with smart monitoring devices using multiple sensor nodes which are integrated to handheld apps. The client solutions and healthcare industry devices which are part of an intelligent system offer better care by securely managing information, automating process and improving collaboration. By using intelligent systems, hospitals can provide easier access to health information, streamline costs, and create operational efficiencies. Therefore improving the overall patient experience. Your loved ones aging factor is no more a problem! Personalized home health care apps can be used to locate and track a senior resident’s activity. Detection works by using the ultrasound-based technology which is already used in hospitals, and is trusted by healthcare professionals. Battery operated cost effective apps can be used to manage emergency calls which is easy to install and requires only a wide area communication interface. Even Wristwatch like small waterproof sensor systems is showing good results for seniors at home. The IoT system is programmed to send progress signals to the ultrasound receiver. Continuous analysis of the data is done by the gateway. A notification for help can be sent immediately after any critical event is detected and relevant data is broadcasted. You don’t miss a beat! Biometrics of each of your family member is monitored by setting person-specific threshold. The ECG Heart rate, activity level, respiration rate, body position etc. can be easily monitored using the fitness bands associated with tracking apps on your mobile devices. You can also remotely monitor vital signs like Blood pressure and weight. These systems can be understood better using a rhythm monitoring system apps. Other clinical applications of such a system include arrhythmia medication therapy to monitor treatment effectiveness which is used to alarm any cardiac attack or respiratory problems. Apps using The Internet of Things will change personalized healthcare and monitoring over fast reliable and secure networks. Seamless ‘anytime, anywhere’ will increase the quality of care, and most importantly reduce the cost of care .This implies that we are approaching the end of the divide present between digital, virtual and physical worlds. This revolution is characterised by providing end-to-end processing and connectivity solutions for IoT-driven healthcare.